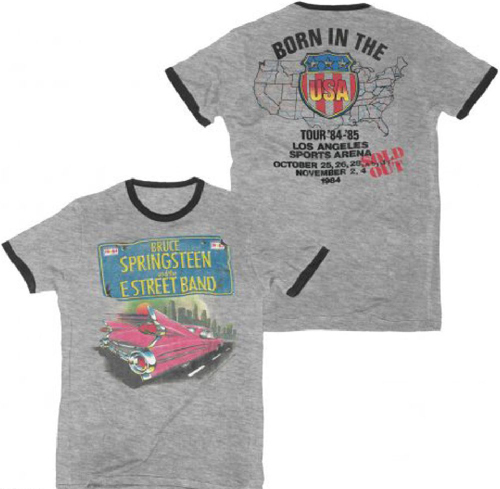 An official reprint of a classic design from the 1984-'85 World Tour for Born in the U.S.A., with the Pink Cadillac and "Bruce Springsteen and the E Street Band" license plate on a heather grey ringer tee, with black detail. Back design highlights the October '84 sold-out run at the Los Angeles Sports Arena. Official shirt from Thrill Hill Productions under license to Live Nation (90% cotton, 10% polyester).